Since 1996, we've been honored and humbled that you have made us the #1 rated and most recommended choice for smart, fast, and efficient no-nonsense test prep. Get it now for MS-Windows PC, Mac, iPhone™ / iPad™, Android™, and/or MP3 Audio Format! Yes! Our Question Banks Are Current as of April 2019. New, updated version features complete, up to date (current as of April, 2019) test banks, numerous calculators, and more study and learning modes than ever before. NEW! Built-in "JargonBuster" feature! We've integrated several Amateur and Commeercial radio dictionaries and glossaries plus wrote one of our own to help you make sense of the many complex terms and abbreviations that you'll run into while you study. These terms are smartly linked to the questions where they are relevant, allowing you to learn them without losing your place and at the moment where they are of maximum use to helping you master the material. Over 7,000 terms and abbreviations are covered! UP TO DATE and UPGRADES ARE ALWAYS FREE TO REGISTERED USERS. Live update functionality is built-in so that you can always get the latest and greatest content quickly and easily! Best value-for-money / time efficiency rapid test prep method, period. Try before you buy - it's shareware! Every chart, schematic, and figure that you need to reference is included. Cheaper than most books, faster than them all. Sure, it's a little bit more expensive than "free" prep websites - but only if your time is worth nothing. Otherwise, Five by Five comes out way ahead. Hundreds of people have passed their tests quickly and easily with this software. Learn Morse Code - you get PilotMorse ($20 value) free when you register. So what are you waiting for? Download it below and give it a try! Dauntless Software''s Five by Five has been written to help hams and processionals to become familiar with the actual questions that will likely appear on their tests and Ham Exams in the most efficient manner possible. By conscientious use of this program in preparation for the written test, it is very possible to score very highly on your test with a relative minimum of effort. buy now Click here to register / purchase Five by Five now! 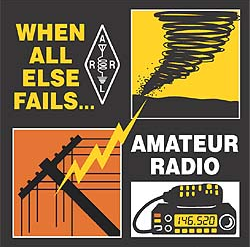 Traditionally, amateur radio operators were issued two separate authorizations; an Amateur Radio Operator Certificate and a radio station licence. The Amateur Radio Operator Certificate was issued for life and had no fee associated with it, while the radio station licence was issued on a yearly basis and a licence renewal fee was charged. Effective April 1, 2000, Industry Canada has combined these documents into one authorization, the Amateur Radio Operator Certificate. This certificate is the sole authorization required to operate amateur radio apparatus in the amateur radio service. Although it is no longer necessary for amateurs to renew their licence annually, they are required to inform Industry Canada of any changes in their mailing address. All administrative activities for amateur radio, e.g. the issuance of amateur radio operator certificates and call signs, changes of mailing address and requests for special event or special prefix call signs, are carried out from a central location: the Amateur Radio Service Centre. If you are the holder of an Amateur Radio Operator Certificate issued before April 1, 2000, you may obtain a new certificate with a call sign by completing the application form available on our Internet Web site. If you are not currently an amateur radio operator but wish to become one, please consult the Radiocommunication Information Circular 3 (RIC-3), Information on the Amateur Radio Service. be examined at the local district office of Industry Canada. The HamExam.ca software and apps contain the actual questions that you will see on your exam and should be used to prepare for the exams in a highly effective way. Accredited examiners are available in many areas throughout Canada to provide both Morse code and written examinations on behalf of Industry Canada. They may be contacted through amateur radio clubs, technical schools or the Amateur Radio Service Centre. Information regarding the accredited examiner program can be found in the Radiocommunication Information Circular 1 (RIC-1), Guide for Examiners Accredited to Conduct Examinations for the Amateur Radio Operator Certificate. Complete the Application and Report for Amateur Radio Operator Certificate and Call Sign, which is available from the Amateur Radio Service Centre. Please note that a call sign in the amateur service can only be issued to a person who holds an Amateur Radio Operator Certificate with Basic Qualification. When completing the section, "Personal Choice of Call sign", please consult the Amateur Radio Operator Cetificate Services website at www.ic.gc.ca/callsign to confirm what call signs are available. This will increase the chances of your being assigned the call sign of your choice. If you do not indicate your choice of call sign, or if none of your three choices are available, you will be automatically issued the next available call sign. *VE0 call signs are only intended for use when the amateur radio station is operated from vessels that make international voyages. The application must be sent by mail, fax or e-mail to the Amateur Radio Service Centre. For detailed information on the Call Sign Policy and Special Event Prefixes, please refer to RIC-9. to issue a replacement certificate as a result of obtaining an additional qualification such as Morse code, or Advanced. to issue a special event or special prefix station call sign. Please refer to the Regulation by Reference (RBR-4), Standards for the Operation of Radio Stations in the Amateur Radio Service. The Radiocommunication Information Circular 3 (RIC-3), Information on the Amateur Radio Service, provides information on various international agreements and arrangements related to amateur radio operation. Canada has negotiated a number of reciprocal operating agreements that allow Canadian amateurs to operate their stations while temporarily visiting other countries, and also allow foreign visitors to operate in Canada on a reciprocal basis. Thank you for your interest in Five by Five! Good luck on your exams!